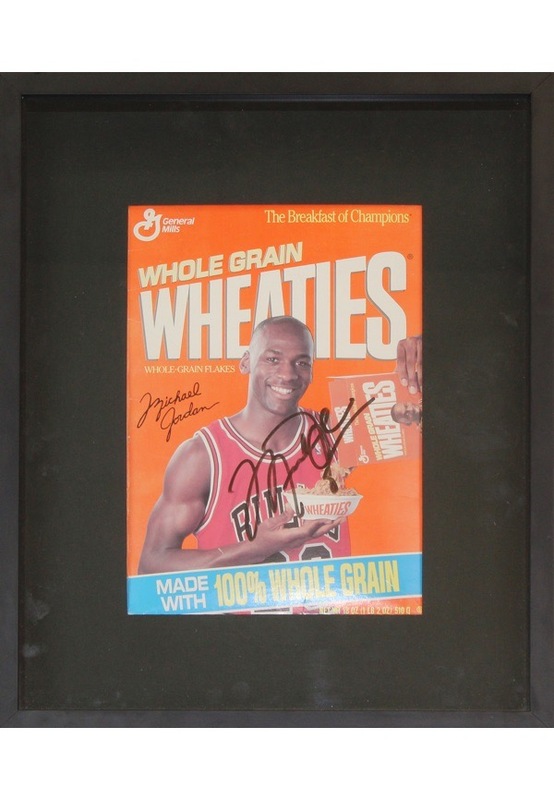 An approximately 15x18.5” framed Wheaties box cover featuring Michael Jordan. 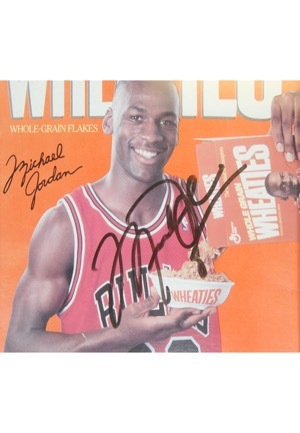 Jordan signed the front of the cover in black marker and in our opinion the signature rates a 9. 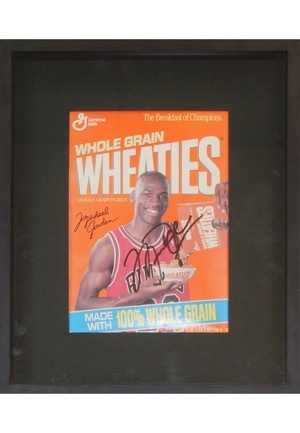 It is unsure if it is an entire Wheaties box inside the frame or just the cover. Accompanied by a LOA from JSA.